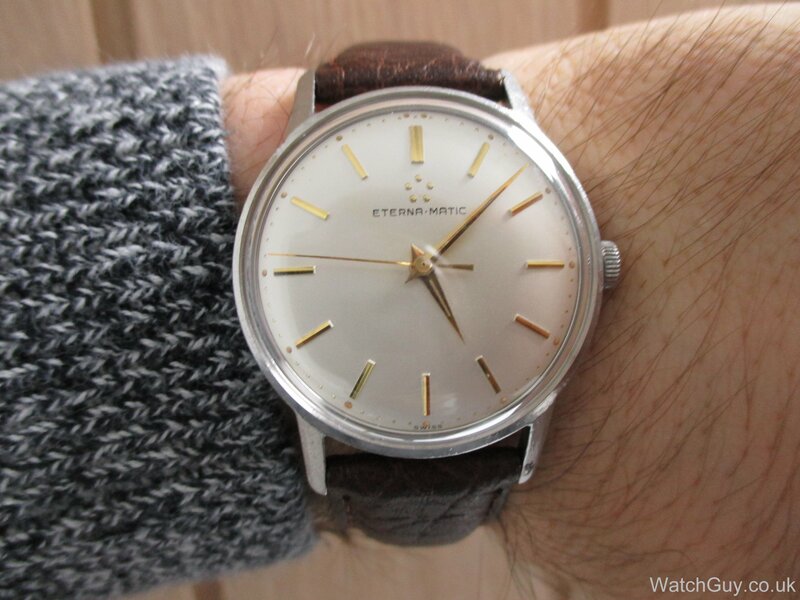 Eterna Calibre 1416U (b) | Mitka's vintage watch service. 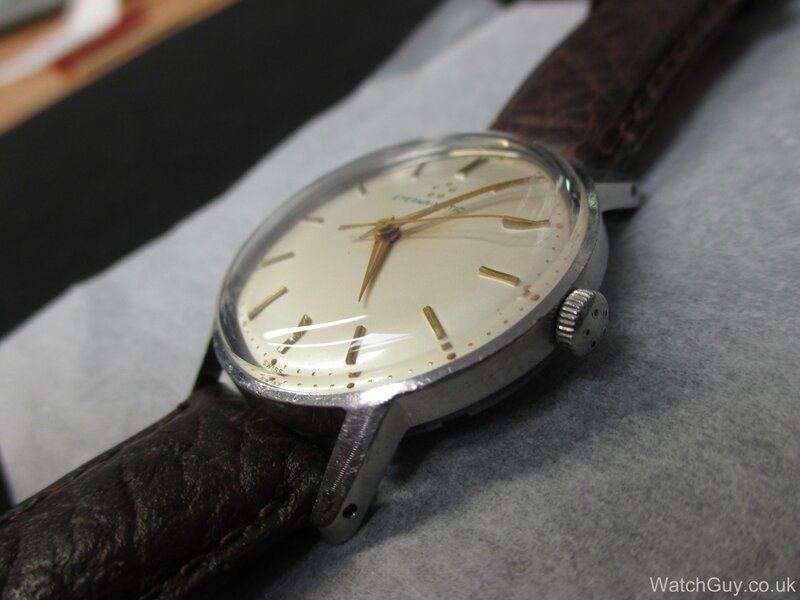 Dial in excellent original condition with some patina between the centre of the dial and marker no 2. Original luminous compound. 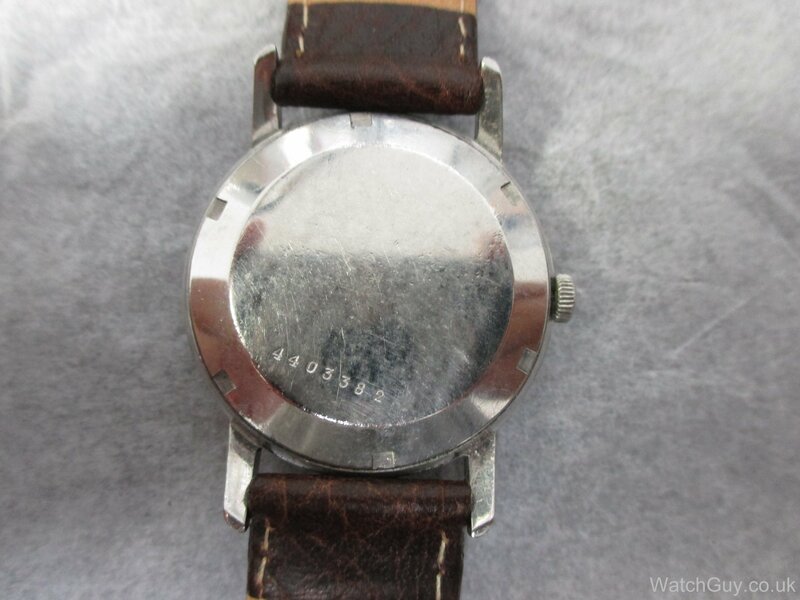 Case has signs of use, but has never been polished and in decent shape. 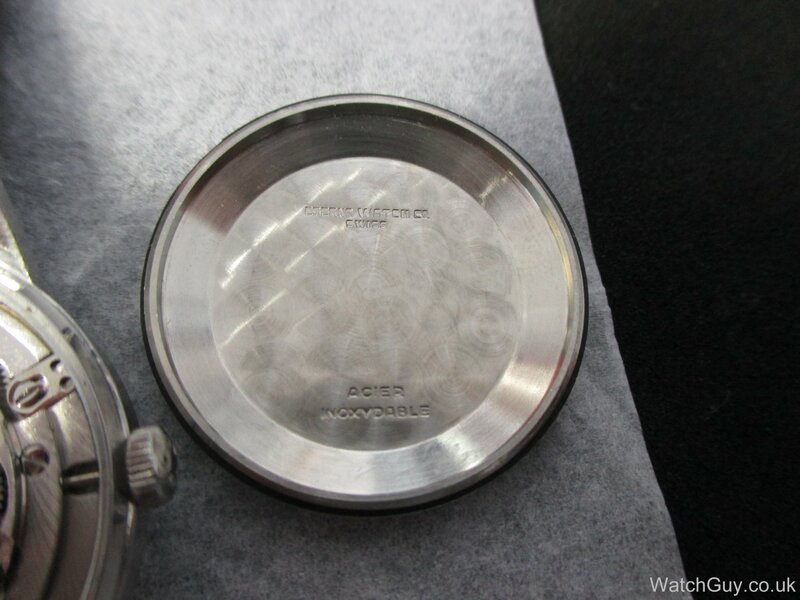 Case back has mark from nato band, but no major scratches and very clear serial number. 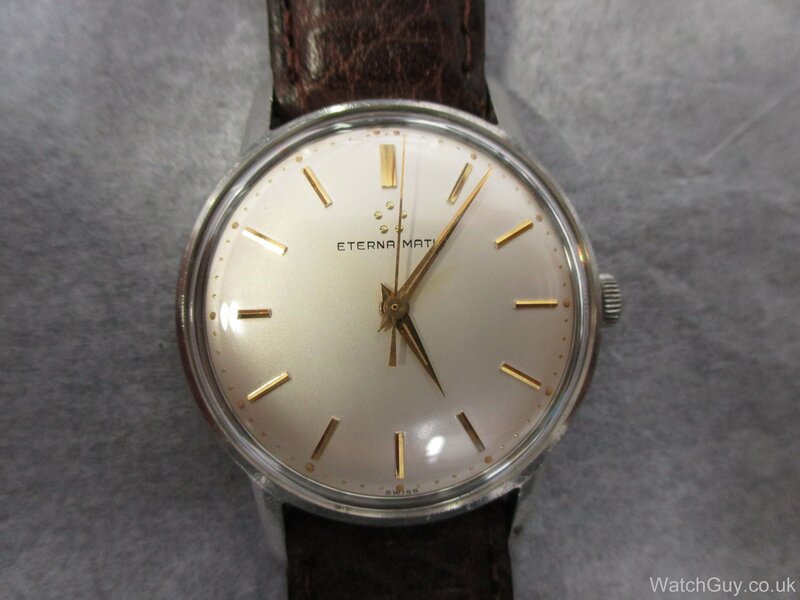 This watch looks really nice.